If the EU truly wants to be the global progressive trading power, it needs to make sure its trade policy does not promote ill-health, and instead makes a real contribution to the Sustainable Development Goals, writes George Thurley. George Thurley is a Policy Officer on Healthy Trade at European Public Health Alliance (EPHA). At the end of April, the EU triumphantly announced an agreement in principle on the update of its trade and investment agreement with Mexico, accompanied by much fanfare trumpeting the benefits of the deal for Europeans and Mexicans alike. In the age of Trump, characterised by protectionism and trade wars, the EU is doubling down on its preferred self-image as a white knight, the true liberal defender of open, fair and rules-based trade. It’s easy for the EU to score points by setting itself up against the current occupant of the White House. However, when it comes to health, the EU is not the progressive champion it would have us believe. 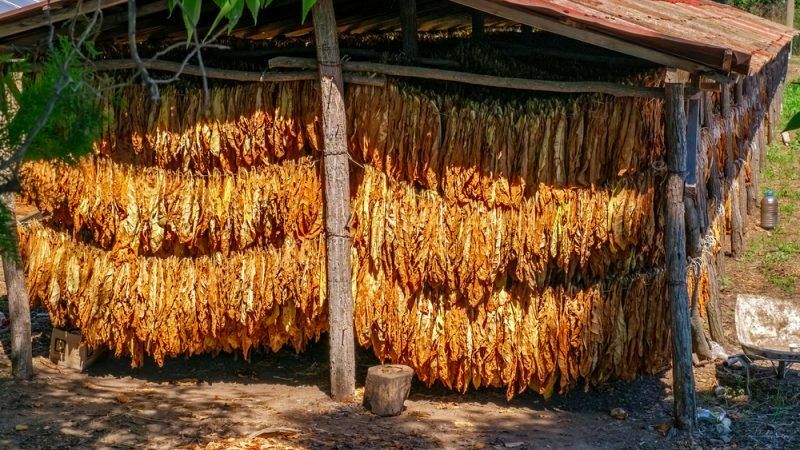 Scandalously, at the same time as the EU is emphasising its progressive credentials, it is explicitly seeking to increase trade and investment in tobacco between the EU and Mercosur (the South American trading bloc comprising Argentina, Brazil, Paraguay and Uruguay). Almost 700,000 Europeans alone die of smoking a year, and the EU’s attempt to export bad habits to Mercosur countries – all four of which have smoking rates below the average for Europe – shows that the EU trade policy is not the win-win they claim. Instead, trade deals bring trade-offs, and the EU has apparently chosen to put the trade goals of European tobacco companies ahead of their own commitments to sustainable development at home and abroad. DG Trade has also missed the deadline to respond to an EPHA access to documents request, regarding tobacco and the EU-Mercosur negotiations, a fact that does little to dispel these concerns. To have tobacco as an offensive interest contradicts the EU’s and all member states’ commitments to deliver on the UN Sustainable Development Goals (SDGs). Promoting tobacco trade and investment creates a significant barrier to the economic development of partner countries, by imposing a higher burden of disease, premature death and demand for scarce health services. A new EPHA report on the EU’s trade negotiations with Latin America, covering the negotiations with Mercosur and Mexico as well as Chile, shows many risks for health prompted by the EU’s trade deals. Alongside tobacco, there are risks to health in changing the rules around affordable medicines, successful food labelling schemes, promotion of alcohol and foods high in fat, sugar or salt, and antibiotic resistance. If the EU truly wants to be the global progressive trading power, it needs to make sure its trade policy does not promote ill-health, and instead makes a real contribution to the SDGs. EPHA, together with our partners the Campaign For Tobacco Free Kids (CTFK), Healthy Latin America Coalition (CLAS) InterAmerican Heart Foundation, and Non-Communicable Disease Alliance (NCD Alliance), has written to Commissioner Malmström and First Vice President Timmermans (the Commission’s SDG champion) to express our joint concern. The EU should kick tobacco lobbyists in all their guises out of all trade policy and negotiations. The EU is already obliged, under the UN Framework Convention on Tobacco Control (FCTC), to exclude tobacco lobbyists from health policy-making, and to be truly coherent, this should be applied to all policy discussions relevant for public health, including trade and investment. The EU must drop tobacco as an offensive interest in the negotiations with Mercosur, and all other current and future trade negotiations. Tobacco is a product unlike all others, in that its principal effect is to cause chronic diseases, and death, and therefore it is irresponsible to trade it like a normal product, without regard for the concurrent health problems. To prevent such blatant incoherence with health in the future, DG Trade must reinforce its sustainability impact assessments (SIAs) to include public health more systematically, and to make their completion a precondition for the conclusion of negotiations, so that the agreement can be amended on the basis of their findings. The fact that EU-Mexico has been concluded, with the final SIA report not expected till the end of 2018, shows they are currently merely window-dressing. The EU’s current raft of trade deals, lacking regard for health at home or abroad, are neither free nor fair. The Commission must take these three simple steps to improve the credibility and coherence of its trade policy.